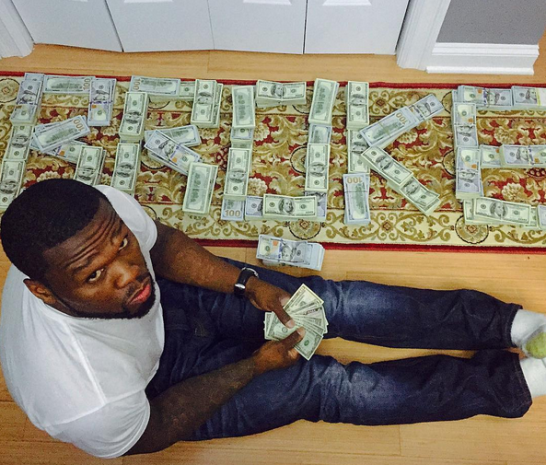 50cent spells BROKE with his wads of dollar bills. 50cent shared this photo and wrote "Man this lunch money,I gotta go to work I'm still up, no Sleep at all. new music this week". But I thought he claimed to be bankrupt some weeks ago... Lolz.